Decide on how much you want to spend on a portable appliance tester. The truth is, how much you spend should reflect on how you plan on testing and tagging. The more you spend – the more you’ll get. Perhaps you’re testing irregularly, or maybe you’re doing it as a full time job. This means you need to be realistic about what your money will get you. Capturing data quickly is important for people testing regularly. There’s no question about it - data capture is one of the most important parts of the job. This means if you’re testing in high volume, the information you collect can then be used when re-testing, making it a major time-saver. On the flip side, if you’re not doing many tests, paying extra for a test and tag machine with data capture isn’t going to be a deal breaker. Think about the number of tests you’ll be performing. Make sure you buy an appliance tester that will fulfil your testing requirements. So if you’re doing test and tag as a business, you’ll inevitably be conducting a lot of tests and require RCD testing and 3 phase compatibility. In this case, investing in test and tag equipment with those extra features will save you time and money in the long-run. Who it’s for: Anyone who wants an appliance tester that will just get the job done, which is usually for people who don’t do a lot of testing. 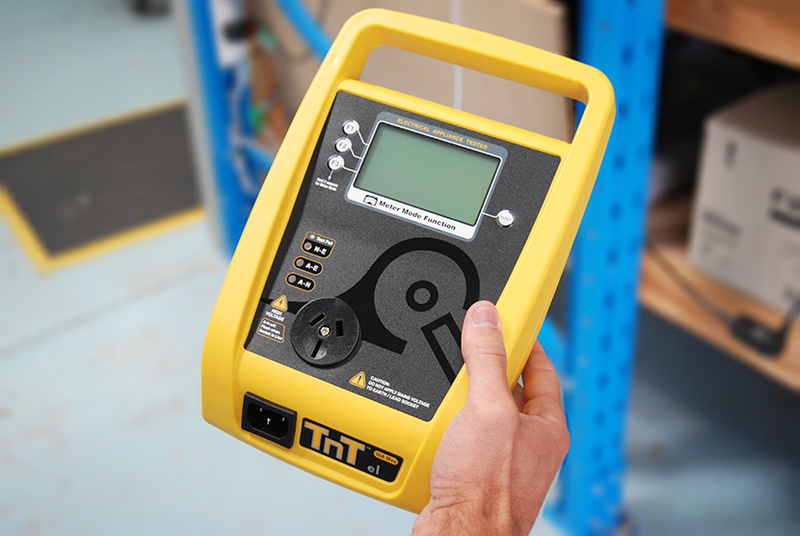 Key Features: Mains powered tester. You'll most likely need to log data by hand. Able to conduct your basic tests, such as Class I and II and extension leads. You won't be able to do RCD testing. Who it’s for: People who want to step up from a basic tester and perform a wider range of testing at a faster speed. Key features: Conducts all of your regular testing, plus additional tests such as RCD testing. More likely to have greater than 10 AMP operation and be 3 phase compatible. Tester will be battery powered, so it’ll offer great portability and save you time finding power sockets. Most popular: DeltaPAT 3309 BT, PAC3760 DL, Wavecom TNT RCD and Primetest 300.
Who it’s for: People who are testing and tagging in high volume and require a complete solution to quicken their testing times. Ideal for test and tag businesses. Key features: Often come with a printer and scanner, which offers re-testing and data capture in a quick and painless way. The ability to generate reports and automate your testing through software. This is mandatory test on appliances with internal switches or micro switches and requires the appliance to be energised. As not all portable appliance testers contain this feature, you’ll want to have it added if you’re offering test and tag as a service. 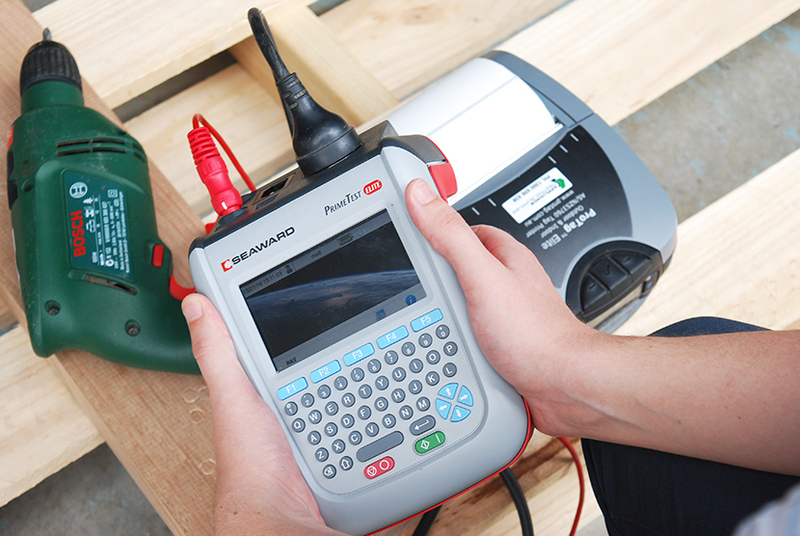 Having a battery powered tester will give you greater portability and make it easier to test hard to access areas. 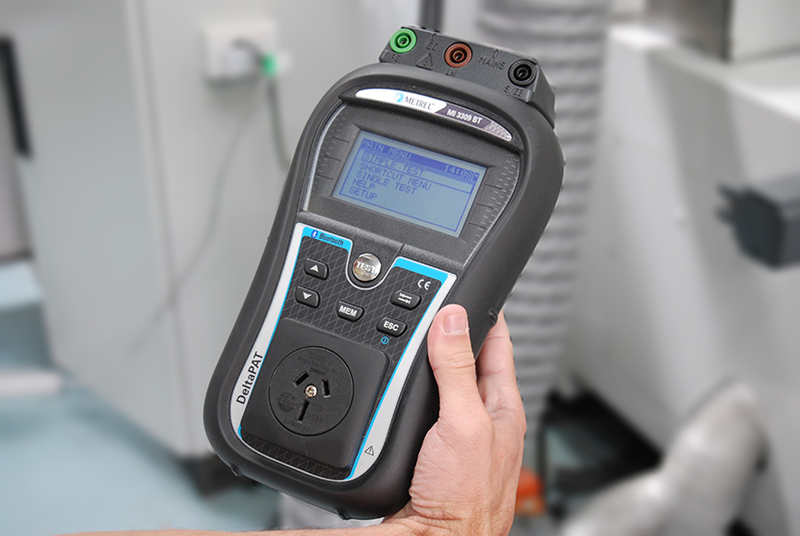 Without it, you’ll need to constantly find mains power to do your testing – something that is not particularly ideal for certain environments. Commonly known as a safety switch, portable RCD’s (Residual Current Device) does require regular testing. This is not a standard feature that will come with all testers, so this choice will be based solely on whether you are planning on testing RCD’s. By having internal memory functionality you’ll be able to store test results directly onto your tester, which will then enable you to upload your results to a PC via the supplied software. This is a major time-saving option that is highly recommended for high-volume testing. Once you’re at the point of testing 100’s of appliances daily, you’ll be glad you decided on getting this feature. This is specifically used for sensitive electronic equipment, whereby running the 500V insulation test may potentially cause damage. It’ll also give you the ability to test power boards and surge protected devices. On that same note, if you’re running a test and tag business – this is a highly recommended feature that’ll give you additional testing options. Although some testers don't have this option, a Leakage Current test will also be adequate.